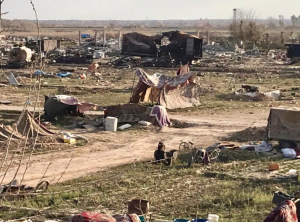 Isis in Deir Ezzor is undergoing the same treatment it reserved for civilians between Syria and Iraq in recent years: deportation and forced shelter in makeshift tents. 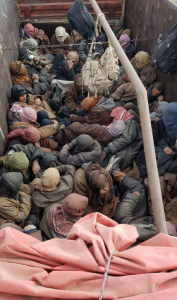 This is confirmed by the photos that circulate on the web and depict militiamen of the Islamic State amassed in trucks of Jazeera Storm, directed to detention centers. 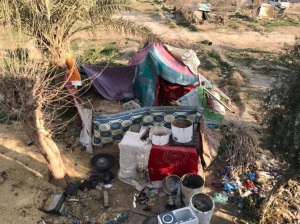 For the Daesh jihadists, the situation in the tent city between Wadi Ali and Harse is no better. All the belongings (few) are crammed under sheets and shawl, used as a shelter, along with empty pots. The fundamentalists, in fact, have finished the food and removing their families was not enough to recover the resources needed to survive. It is no coincidence, in fact, that mass surrenders in the IS ranks continue. This is also due to the pressing of the Arab-Kurdish forces and the International Coalition, which are destroying the tunnel network in the area. Therefore, Isis was also a victim of the “Contrapasso” theory. Now it is the same militants of the Islamic State who have to bear what unjustly suffered the inhabitants of Iraq and Syria. Forced marches outdoors, living in fear of being killed and eating scraps of what was once food. With a substantial difference, though. The SDF reserve a humane and respectful treatment for prisoners. They take care of them and feed. Furthermore, they do not torture them to death in interrogations. They treat them as human beings, which Daesh has never done to what was called the “war booty”. Above all women and children, sold at the slave markets or turned into “soldiers” after careful brainwashing. Operation Round Up is gradually undermining the Islamic State capacity to resist at Deir Ezzor. Instead, Daesh attacks the SAA for propaganda purposes. At east of the Euphrates there are the SDF of Jazeera Storm, which are pushing towards Hajin, Sousah and Sha’Fah. At west the Damascus army is holding on at Abu Kamal. Isis is left without resources. The Interior Minister: We will maybe need changes to the law on how to react actively, not just investigating, but also responding to the cyber attacks.